In neurolinguistics, we draw on a variety of methods to gain valuable data. Below we have put together some basic facts about the techniques most commonly used here in the Neurolinguistics Lab. Sometimes it is necessary to combine methods to get better results! 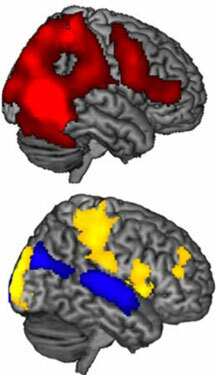 As opposed to experiments using techniques such as EEG and fMRI that allow researchers to observe brain activity "in action", behavioural studies measure the results of language processing in the brain. Behavioural methods include reaction time studies or questionaires. Electroencephalography (EEG) is a monitoring method to measure the electrical activity of the brain. 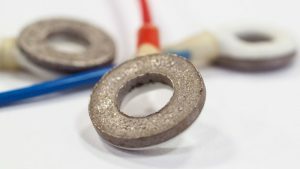 The 86 billion neurons in the human brain are constantly communicating (even when you are asleep) via tiny electrical impulses, causing voltage fluctuations which can be measured with the help of small disk-like electrodes placed on the scalp. Electroencephalography is a non-invasive measuring technique and harmless to health. One huge advantage of the EEG method is its excellent temporal resolution, meaning that the neural activiations within the brain can be measured with very little delay. In preparation for an EEG session, the participant is fitted with a special cap mounted with electrodes. Conductive gel is added underneath each electrode to ensure optimal contact between electrode and scalp. Participants are then asked to take a seat in a secluded chamber (to ward off any disturbance) and read from a monitor or listen to stimuli while their brainwaves are recorded. After a series of analytical operations on the raw data, the reseracher is then able draw conclusions on language comprehension and processing. An important tool in neurolinguistic research is the study of eye movement (or eye tracking). Eye tracking is a time-sensitive method that is especially useful for research on language processing. 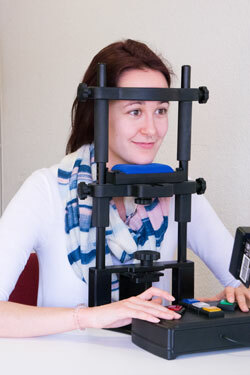 In studies employing eye tracking technology the participants read from a screen while their eye-movements are recorded. Imaging techniques such as functional magnetic resonance imaging (fMRI) rely on the fact that the level of oxygen in the cerebral blood flow is linked to neuronal activation. Because of the haemodynamic response, that is the rapid distribution of blood to active nerve cells, the fMRI method provides accurate spational resolution of neuronal activity in the brain during language-related tasks. The fMRI technique is non-invasive and painfree. Studies involving the fMRI method are carried out at the University Hospitals of Mainz and Marburg respectively.